Constructed as a waiting room and office for Glasgow’s Eastern Necropolis in the 1860s, the lodge latterly served as the grounds keepers’ bothy / store before being declared surplus to requirements and vacated. By 2007 the building had lost much of its roof slates, was heavily graffitied, had buddleias growing in the gutters and was subsequently added to the At Risk Register. 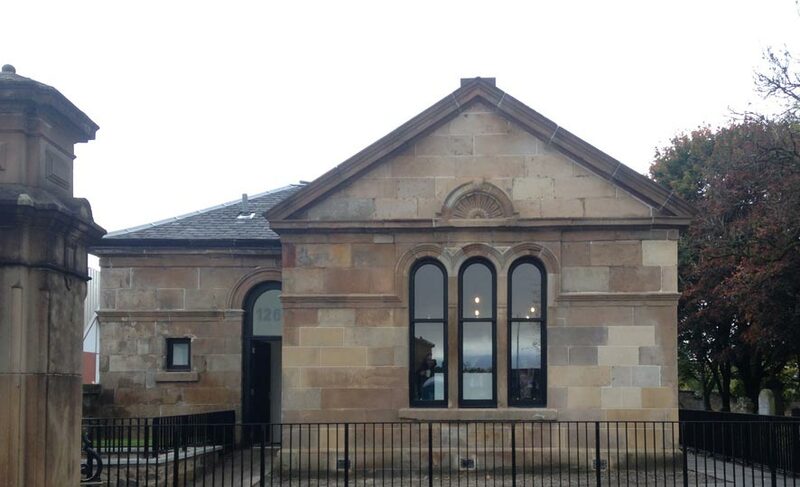 The restoration of the lodge was identified as a priority for the Parkhead Cross Townscape Heritage Initiative – a heritage led regeneration scheme funded in partnership by Glasgow City Council, the Heritage Lottery Fund and Historic Environment Scotland.